Professor and scholar specializing in modern American political and intellectual history, Ellen Fitzpatrick is the author and editor of seven books, including the New York Times best-seller Letters to Jackie: Condolences from a Grieving Nation (Ecco); History's Memory: Writing America's Past, 1880-1980 (Harvard University Press); America in Modern Times, co-authored with Alan Brinkley (McGraw Hill); and Endless Crusade: Women Social Scientists and Progressive Reform (Oxford University Press). 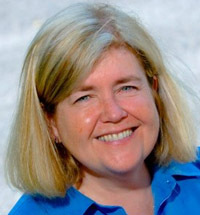 Since 2004, she has appeared regularly as a commentator on PBS' The News Hour with Jim Lehrer and has been interviewed as an expert on modern American political history by the Atlantic, the New York Times, the Wall Street Journal, the Los Angeles Times, Newsday, USA Today, the Atlanta Journal and Constitution, the Boston Globe, and the Washington Post. Fitzpatrick has done radio and television interviews for CNN, Face the Nation, ABC, National Public Radio, CBS, and WGBH-Public Television in Boston. A sought-after keynote speaker, she has spoken at the Peabody Essex Museum, the John F. Kennedy Library and Museum, the Harvard Club, the Nieman Foundation of Harvard, M.I.T., and Indiana University. She is available to speak about the 50th anniversaries of President Kennedy's 1960 election and 1961 inauguration, as well as the 50th anniversary of his assassination (2013). Fitzpatrick is the University of New Hampshire historian that millions of people have seen on TV - every night during the 2004 Democratic Convention and regularly on PBS' The News Hour with Jim Lehrer ever since. "She has become the face of UNH for many people across the country," notes colleague Jeffry Deifendorf, who believes her work as a public intellectual has benefited the public, the University, and her students. She accepts the job because she values the opportunity to give audiences an historical context for present-day politics and events. Today Fitzpatrick speaks of the past with a kind of reverence, as something that must not be misused for political expediency. Invoking the past is like quoting the Bible, she says. "People can always find something to support their point of view." Her most recent book focuses on perhaps the most memorable moment of the 20th century - the assassination of President Kennedy. Within seven weeks of the President's death, Jacqueline Kennedy received over 800,000 condolence letters. Two years later, the volume of correspondence exceeded a million and half entries. These letters were left essentially untouched for 46 years until Fitzpatrick read through the thousands of messages from Americans deposited at the John F. Kennedy Library. They bring to life the hope, idealism, and sense of possibility JFK embodied for many Americans. "The treasure trove of condolence letters," The Guardian writes, "speaks volumes about the the nature of US society at the point of Kennedy's death." The New York Times notes that "many of them are eloquent expressions of grief - from a priest in an Eskimo village, schoolchildren in Texas, a middle-class family in California, a widow in Pittsburgh, a Louisiana woman with a fourth - grade education" that "provide a window into Americans struggling with poverty, fighting for civil rights and trying to comfort themselves and others in the face of the president's death." 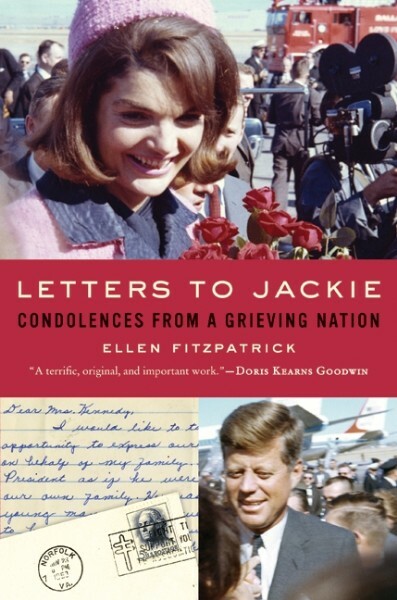 In her Letters to Jackie lectures, Fitzpatrick discusses these extraordinary letters, and the way they capture Americans' vivid recollections of the assassination, their views of Kennedy, his politics, and the Presidency, experiences of grief and meditations on the nature of life. She offers a snapshot of the United States as it existed in 1963, and urges us to consider what that snapshot might say about America in the 21st century. Fitzpatrick was a Fellow at the Radcliffe Institute for Advanced Study at Harvard University in 2008-2009. She holds a Ph.D. in History from Brandeis University, is Professor of History at the University of New Hampshire, and has taught previously at Harvard University, M.I.T., and Wellesley College. She is also the recipient of many grants in aid of her research, including support from the Woodrow Wilson National Fellowship Foundation, the Ford Foundation, the Spencer Foundation, Rockefeller University, and Harvard University. She has also held fellowships from the Charles Warren Center for the Study of American History at Harvard University (twice), and the Andrew W. Mellon Foundation. She lives in Newtonville, Massachusetts. "Ellen Fitzpatrick's wonderful book - which is both a perceptive history of the public response to John Kennedy's death and a selection of the millions of letters that followed the assassination - is a remarkable window into the character of the nation in the 1960s." "This is a terrific, original, and important work, the perfect match between subject and author. With an historian's grasp of time and place and a novelist's feel for drama and detail, Fitzpatrick provides a stunningly fresh look at the impact of JFK's assassination on the American people." "The 'new' history - the history of ordinary people, of minorities, of women, of African-Americans, of native Americans, of labor, and of social and economic conflict - how new is it? Ellen Fitzpatrick shows in excellent detail how old and deep a tradition in American historiography it really is, how it emerged in the 1880s, deepened in the 1920s and 30s, and reached maturity long before the so-called 'new' historians of the 1960s and 70s called it their own. Exploring the work of historians and social scientists, especially of the years before World War II, she shows the deep continuities of history 'from the bottom up' and the remarkable achievements of the scholars - some renowned, some obscure - who originated modern social history. An important part of history's memory has been recovered. "In this meticulously researched and carefully crafted book, Ellen Fitzpatrick demonstrates that the highly touted 'new history paradigm' is not so new after all. In a fair and even handed manner, she notes the accomplishments of the 'new' history, carefully locating it within a long, complex, and diverse historical tradition of writing and memory. Fitzpatrick's book is a must for any historian's library. Thanks to her, we can now begin the twenty-first century with a clear knowledge of the way historians have thought about, written, and understood the American past." "This book should be required reading for both enthusiasts and critics of the New History of the 1960s-1980s. Fitzpatrick has explored ably the rich legacy of creative studies in the social history of the United States produced during the Progressive Era, the interwar years, and even the postwar epoch, which is usually associated with 'consensus history." "Every serious student of history should read this beautifully written book, which traces the development of historical interpretations with intelligence, wit, and a profound moral sensibility. Even the 'new' social and cultural history, Fitzpatrick shows, has deep roots in the work of previous generations. History's Memory is one of the most important books on or about American history published in the past decade." "History's Memory is a fresh view of the history of American historical writing. A lively parade of historians of labor, women, race, and ethnicity can now take their place with the 'new' historians of the 1960s and 70s as pioneers in the ongoing effort to come to grips with the diversity and inequality of modern society. Fitzpatrick's timely book is a useful companion and corrective to Peter Novick's That Noble Dream." "Ellen Fitzpatrick's intelligent and elegant examination of twentieth century historical writing is a powerful challenge to many longstanding assumptions about our intellectual traditions. It is both an important work of intellectual history and a path-breaking history of the discipline." "Fitzpatrick . . . challenges what she contends is the dominant view among historians that the 1960s transformed historical study in the United States by introducing fields of inquiry and methodologies never explored before . . . Covering the era beginning in the last decades of the 19th century, Fitzpatrick persuasively contends that the historical profession and its scholarship were exceptionally diverse for generations prior to the Sixties. She reconsiders some well-known historians whose work has been discounted through the years and recounts studies by neglected or forgotten scholars who, in retrospect, dealt with important themes. Fitzpatrick argues that the claims that 1960s historians had discovered the role of class, race, and gender and applied new methods to the study of the past were at best ill informed and at worst false...[This is] a first-rate study. Highly recommended."